The Gold Rush is one of those gambling machines with traditional game configuration. The famous Swedish software provider, Net Entertainment, has launched a piece with three reels and one pay line. The retro theme of one-armed bandit from live and mortar casinos is still very popular in the UK, even though it does not have bonus rounds, mystery levels or any other extra features. It, actually, has only three control buttons. Bet, Bet Max, and Spin. With these, there is no mistake for you to make. That is why this product is recommended especially to first-time bettors that usually crave for simple rules and interface. However, the main strength of the pokie that bettors love is the progressive jackpot with the colossal amount. This one draws all the attention of the potential customers. The top play prize builds every time one stakes a bet, with a section being added to the reward. This continues until the 3 coin wage has been made while simultaneously matching three Gold special symbols on reels. The lowest possible bet and such a huge winning make this low volatility slot very popular. The feeling of the past in this slot has a complete reflection on the design with symbols like cherries, the gold five and red seven bar and expected Gold icon that brings large payoffs. The online gambling world has many members of this old-fashioned yet lucrative family, such as the Fruit Salad Jackpot. On the other hand, low stakes are possible since the initial wage is €0.20. The maximum bet is three coins. In case gamblers want to play free Gold Rush casino slot machine with no download or registration they should know that not all the options are available in that mode, like the real money progressive top prize. Probably the main downside of this and similar online slot machines to play for free is the lack of basic additional symbols, such as Wild and Scatter. Also, there is not even the bonus round nor the free spins that many expect. On the other hand, the large increasing reward for the decent real money investment makes that all up and the slot is worth of trying out. 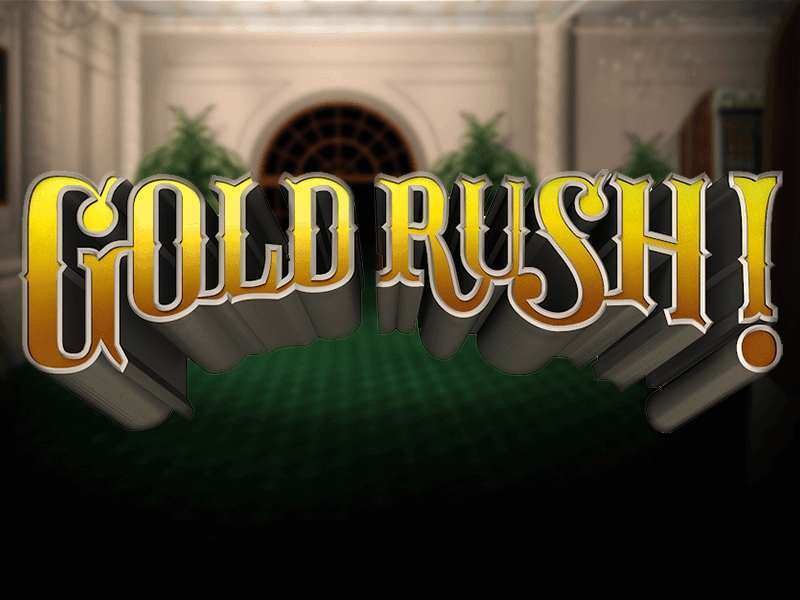 The Gold Rush online is easily available even for the bettors that love to play the real money slot machines. All every punter has to do is to leave all the necessary bank account data to the cashier, alongside with the personal and financial information. However, nothing to worry about when it comes to safety. The NetEnt holds respectable licenses and represents one of the best platforms for secure online gambling. Of course, before investing some cash, one has to choose the reputable casino house and read carefully all the terms and conditions of the bookmaker. In the end, always check if the model itself is available in particular state. Also, watch out for the current promotions. For example, the Jackpot city offers up to $1,600 no deposit bonus, Dunder casino has $600 Welcome benefit alongside with 200 Free spins. Casumo brings the same number of spins and 1,200 euros as the initial bonus. However, regarding everything, the Gold Rush Slots machine stands for the fair and inexpensive type of the piece, while the average RTP (Return to Player) is decent 95.40%. Those who like to enjoy anywhere the good news is that their adventure can start at any place. The slot is fully adapted with Mac, Windows or Linux operating systems of desktop and laptops. In addition, it is HTML5 scripted, the games are compatible with portable devices, so bettors can try out this one on mobile phones, tablets, Blackberries, and Android systems. 0 responses to "Gold Rush Slot"